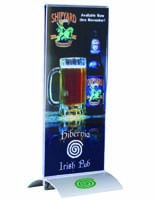 Trying to find affordable metal sign holders with an attractive shape that will garner interest from customers sitting at the table or counter? 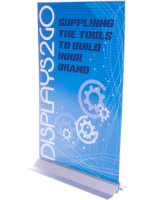 The poster stands feature the unique, aesthetically pleasing shapes with modern finishes to appeal to potential clients. 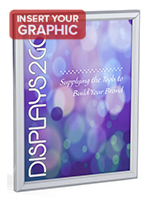 Store fixtures of this nature are improvements over the bland tabletop display with the easel backer. 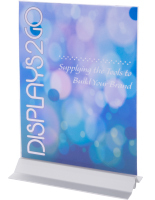 Poster stands have flat bases that provide a great deal of stability without requiring much room on the table. 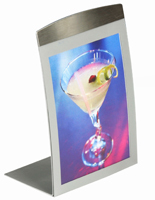 These restaurant or retail metal sign holders with countertop designs, commonly referred to as aluminum signage frames, come in different sizes to fill the void on the flat surface. 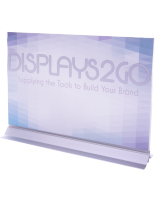 The poster stands are available in various styles to accommodate the most common image dimensions. 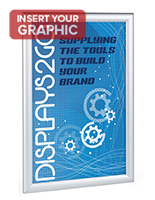 Restaurateurs, retailers and managers of other establishments in other industries will have no problem loading promotional information into the marketing products. 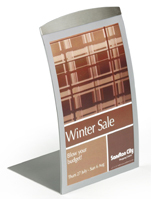 These metal sign holders are poster stands with simple designs that allow for quick ad changes in fast paced environments. 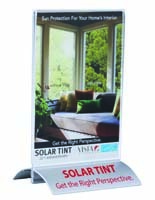 These bulk picture frames can be purchased in different colors and finishes to best coordinate with the surroundings. 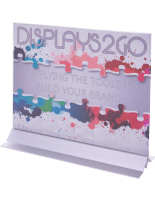 Each of the store fixtures can be setup on counters, tables, and other retail furniture to generate some buzz about upcoming sales and events. 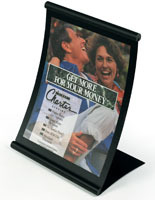 These holders protect the promotions from potential damage with the included lenses. 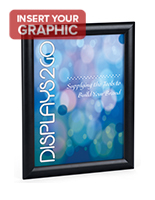 The aluminum signage frames prevent dust and dirt from ruining the prints. 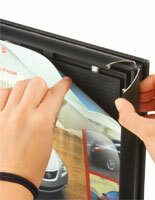 Professional holders keep the contents in full view and prevent glare from affecting the presentation. 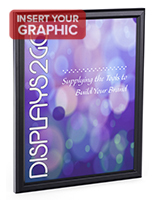 Retail store fixtures can provide a sense of sophistication to upscale and casual atmospheres. 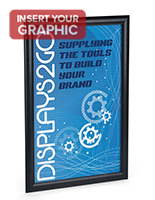 How do merchandisers insert and unload advertisements from the aluminum signage frames? 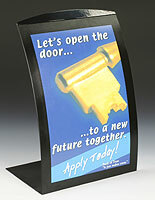 These metal sign holders feature easy open and close constructions to make setting up new promotional campaigns easy. 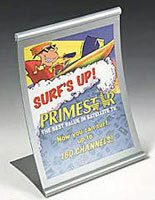 The curved retail store fixtures have lenses that fold up. 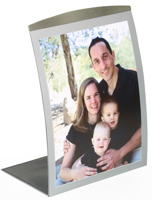 Employees simply need to place the promotion in the precise position and lay the front over the image. 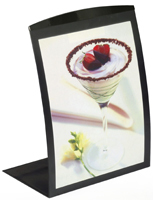 Both concave and convex poster stands have magnets on the lens to seal the unit closed. 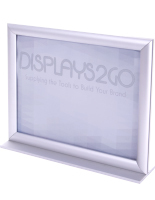 Some of the retail advertising products feature snap framing technology. 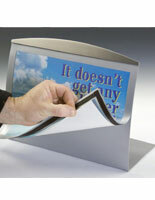 Small, flat hinges are built into each side of the border for users to flip open and insert the message. 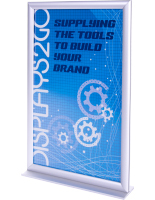 Place the poster in the appropriate space, add the lens and shut the four sides to clasp onto the graphic. 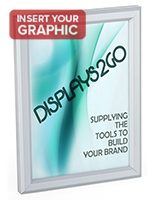 When removing the images, merchandisers simply need to reverse the process. 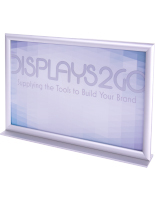 The front loading retail store fixtures do not require users to fiddle with backers when inserting or taking out the promotions. A quick flick of the wrist is all that is necessary. 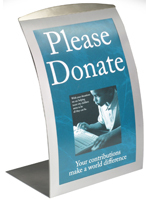 The metal sign cases come in a size that is appropriate for the graphic and the situation. 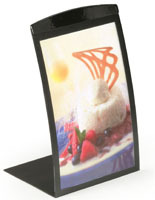 Many restaurants and bars present specials using the 4" x 6" containers. Customers can easily read the different food and drinks for sale. Other cases feature larger viewing areas. 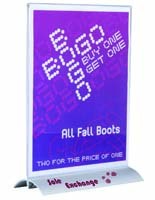 Retail stores, banks and many other institutions option the 8.5" x 11" or 11" x 17" sizes. 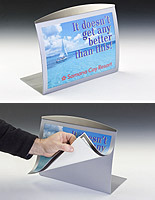 Not only are these dimensions visible from a distance, but advertisements of these sizes can be made with a standard printer. 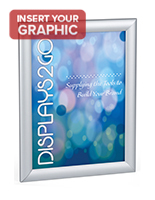 Advertisers do not need to spend a lot of money to create content for the metal sign containers. These cases are a very creative way to market products, spread information about services or welcome customers into the establishment.